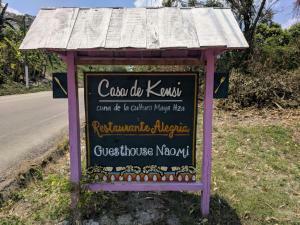 ﻿ Best Price on Casa de Grethel in Flores + Reviews! Offering a barbecue and a private beach area, Casa de Grethel is located in Flores, 27 mi from Tikal. Guests can enjoy the on-site bar. Some rooms include views of the mountain or lake. Casa de Grethel features free WiFi throughout the property. A flat-screen TV with cable channels is featured in the private rooms. There is a 24-hour front desk at the property, a large communal area and free use of the kitchen. The area is popular for cycling and fishing. The hostel offers complimentary boat service to cross to Flores as well as tours and transports booking services.